Tutoring by City understands that all students are unique and learn at different paces. For some, this is the effect of a lack of knowledge or interest in a particular subject. For others, it is a far more complex matter that calls for the assistance of a tutor who is qualified to work with a student’s special needs. Choosing the right company to work with your child is a difficult task, but it can make all the difference in his or her ability to learn and grow in the classroom. Our company takes pride in our ability to work with parents and children who require the personalized assistance necessary to realize a special needs student’s full academic potential. At a minimum, our tutors possess exceptional student education (ESE) certificates, associate degrees, and substantial tutoring experience. Whether you are looking for an Individualized Education Program (IEP) advocate, specialized tutoring assistance, or consultation on finding the right local services to help your family, Tutoring by City is more than capable of understanding the needs of you and your child and giving him or her the attention he or she deserves. We know that your child’s welfare, development, and personal growth are crucial to their future success. At Tutoring by City, we customize learning programs to suit the individual needs of each student we work with. We set goals, progress at the student’s pace, track his or her development, and provide him or her with the attention he or she needs to achieve satisfactory academic results. 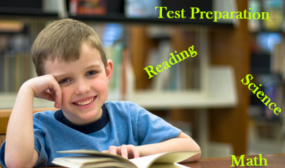 Whether help is wanted in basic reading or math, test preparation, science, or any other subject, we have excellent tutors who are expected to not only meet but exceed your expectations. We encourage our students to become active learners, taking an exceptionally supportive approach to education that creates a desire to learn and the ability to have fun while doing it. If you are seeking a company that has the best interests of your child at heart, Tutoring by City is ready to give him or her the academic guidance he or she needs. Set your learning expectations higher by contacting Tutoring by City now.